Santa Fe, NM- HB 51 Passed House Floor Vote with 40 Democrats Supporting the bill and 23 Republicans opposing, 1 Republican (Paul Bandy District 3) was excused. These 6 Democrats, who truly care about the safety of women and future of New Mexico, voted with us for LIFE. Please contact them to thank them for standing with conviction and breaking from the party line. 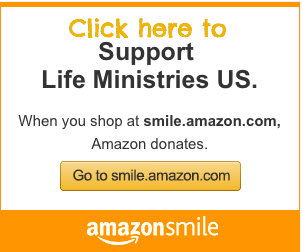 You can click on their names for contact information to thank them. 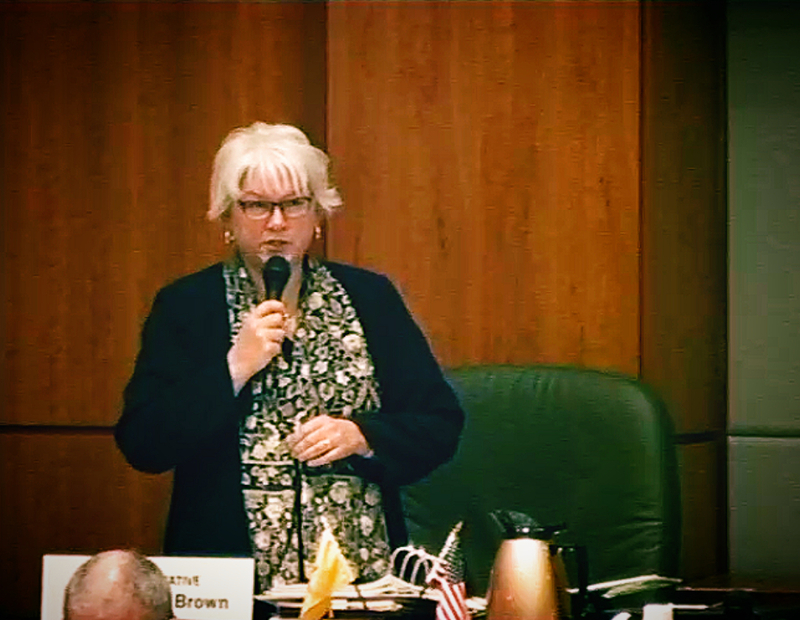 Rep. Cathryn Brown (R-55) stated during the debate that in her 8 years of serving in the legislature she has never heard such a public outcry from her constituents in opposition to a bill. 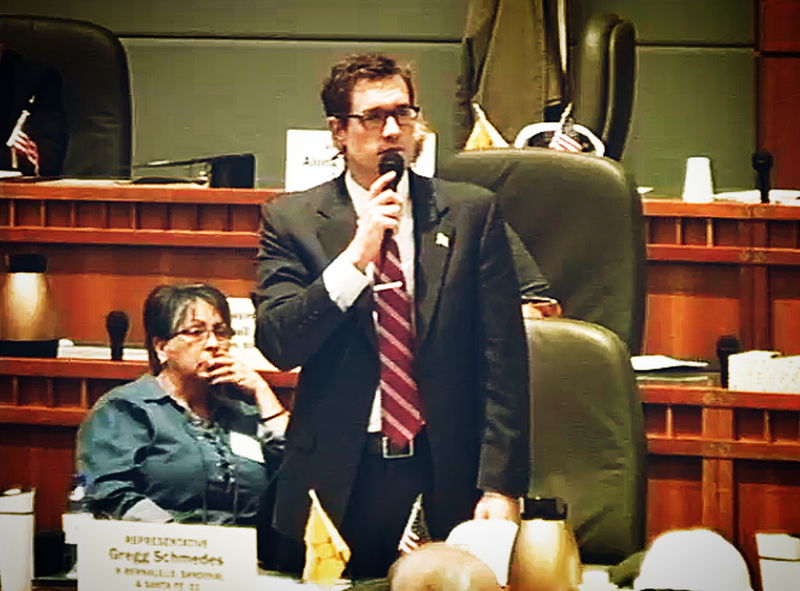 Rep. Gregg Schmedes (R-22) valiantly stood for LIFE and for the conscience protection of New Mexico pro-life physicians who are concerned that HB 51 will strip their right to conscientiously object from performing abortions. Rep. Rod Montoya (R-1) was also a bold voice for LIFE! He got the sponsor of HB 51, Rep. Joanne Ferrary (D-37) on public record to confirm what we have been saying for years, that New Mexico law already allows late full-term abortions up to the day of birth for any reason on healthy moms and healthy babies! Click here (or above) to watch an excerpt of his testimony. 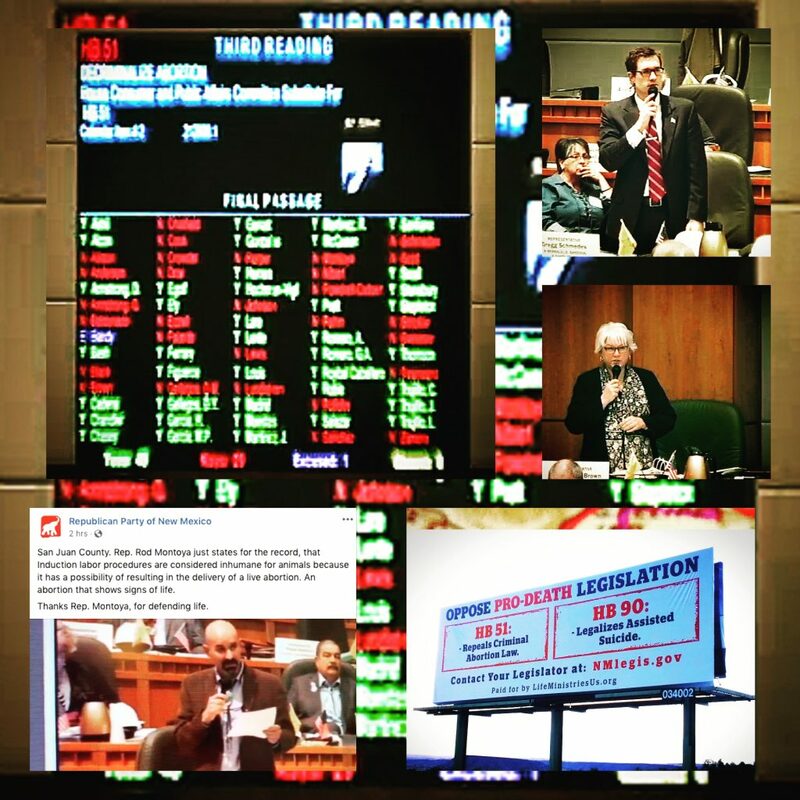 Towards the end of the debate, in an exchange with Rep. Javier Martinez (D-11), Rep. Ferrary insisted that if HB 51 passes, nothing changes in New Mexico. This is simply a lie but the pro-abortion community hides behind lies every single day as they perpetuate and promote death throughout New Mexico. Abortion Free New Mexico opposes HB 51 because it removes two enforceable provisions, that include the protection for a woman to consent to an abortion. This will leave the drug addicted, homeless and minors at risk of forced abortions. It will also open the door for non-physicians such as midwives and nurses to perform abortions further placing women’s lives at risk. HB 51 will now make its way through Senate committees first and then to the Senate floor before going to the Governors desk. Please continue to pray that the pro-death legislation doesn’t succeed and that democrats in the Senate will vote with us for life. Thank you for standing up for Life. May we continue to pray for the Best for our state and country. May we All be Blessed. Thanks again. May God Bless Us All.